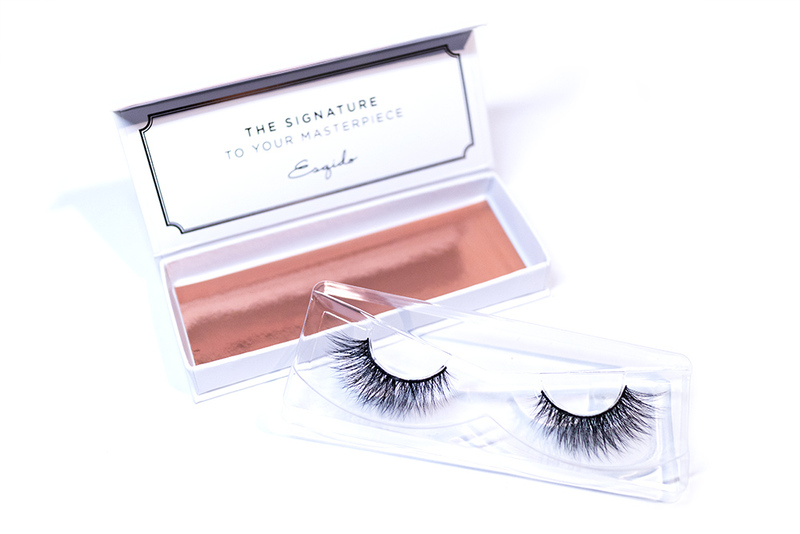 Spotlight: Esqido Lashes (Unisyn™ and Mink) and Companion Eyelash Glue – Oh My Stellar! 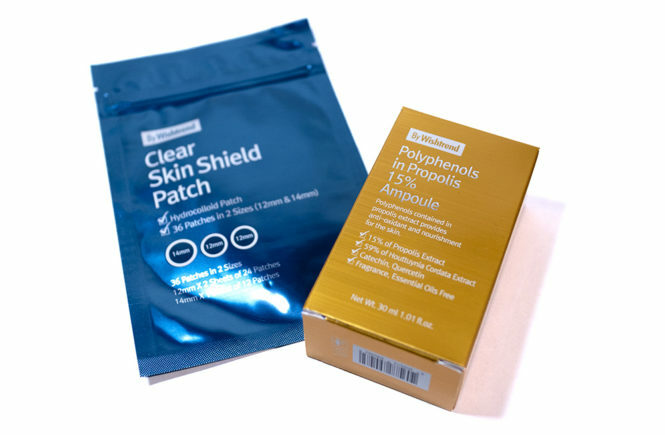 These products were sent to me for review by Esqido. I was not paid for this post and no affiliate links are used. 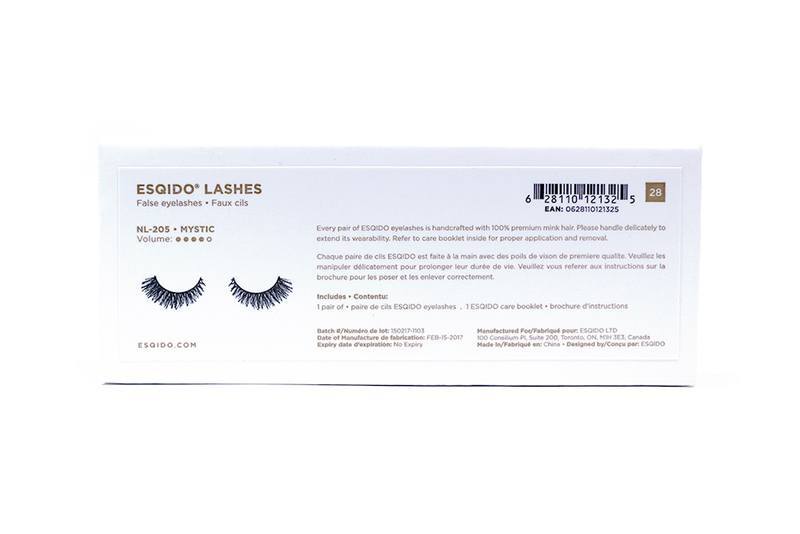 This post is going to be a little different for me because, instead of talking about make up or skincare, I’m going to be showing up the false lashes and eyelash glue that I was sent to test from a brand called Esqido! For those that know me in real life, they will know that I don’t actually wear false lashes that often – that because I have rather small eyes and they will generally take me at least a half hour to get on. 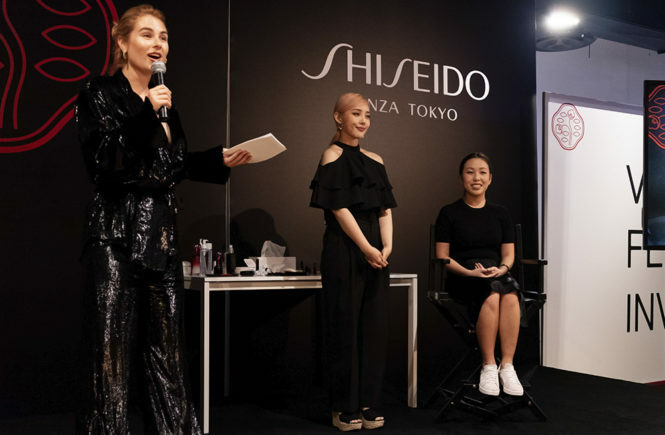 However, I was really excited when Esqido reached out to me, partly because their designs look so beautiful and fluttery, and also partly because they have a massive celebrity clientele! I’m talking Rihanna, Naya Rivera and Shay Mitchell (whose lashes I have always envied) – along with a long list of influencers too. 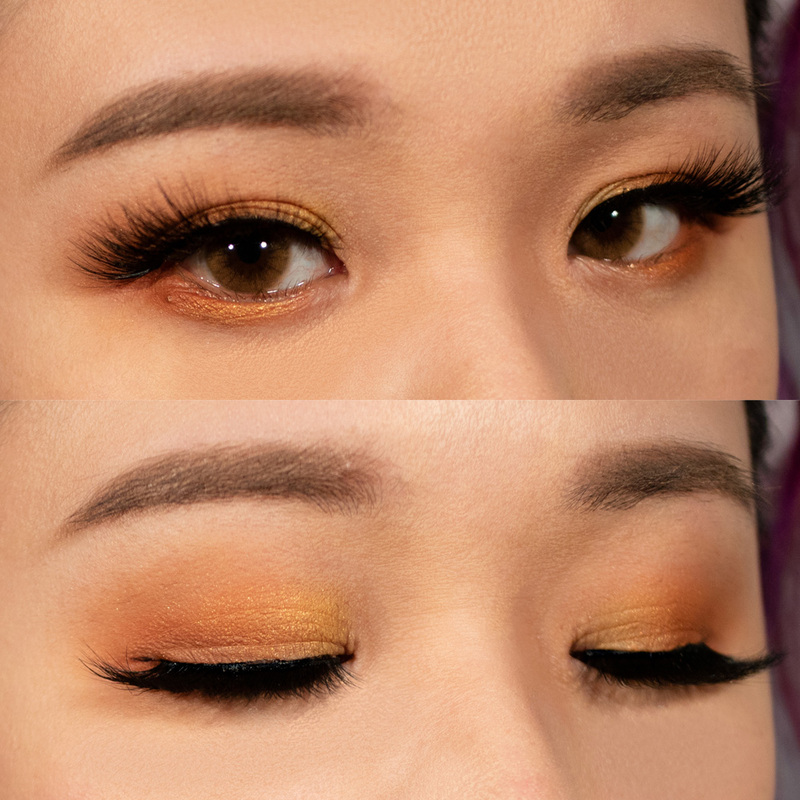 They have also been worn by Arden Cho and, seeing that they work so naturally on her eyes too, I was super keen to give this a try. 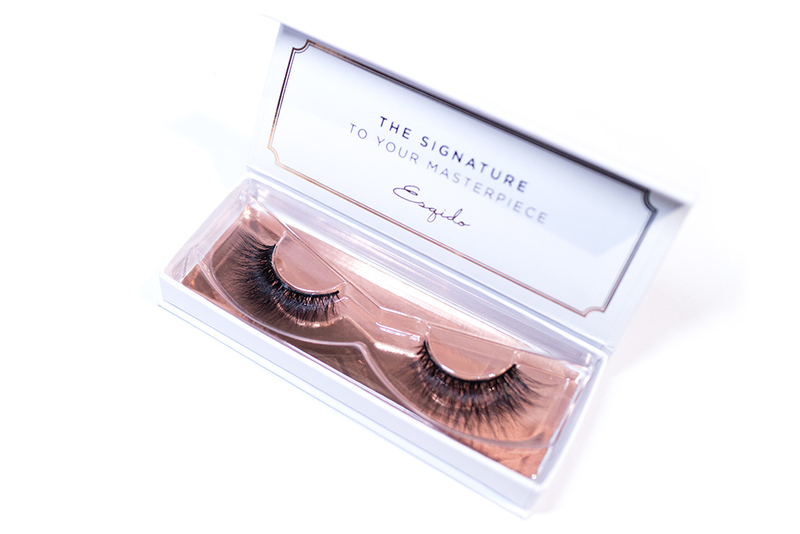 I originally chose these false lashes through the Esqido Lash Guide, which is an interactive quiz that helps you to choose the perfect lashes for your eyes. I was originally recommended Gin & Tonic (Unisyn™), as well as Silhouette (Mink), but since the latter was out of stock I decided to try out an alternative style – Mystic (Mink). 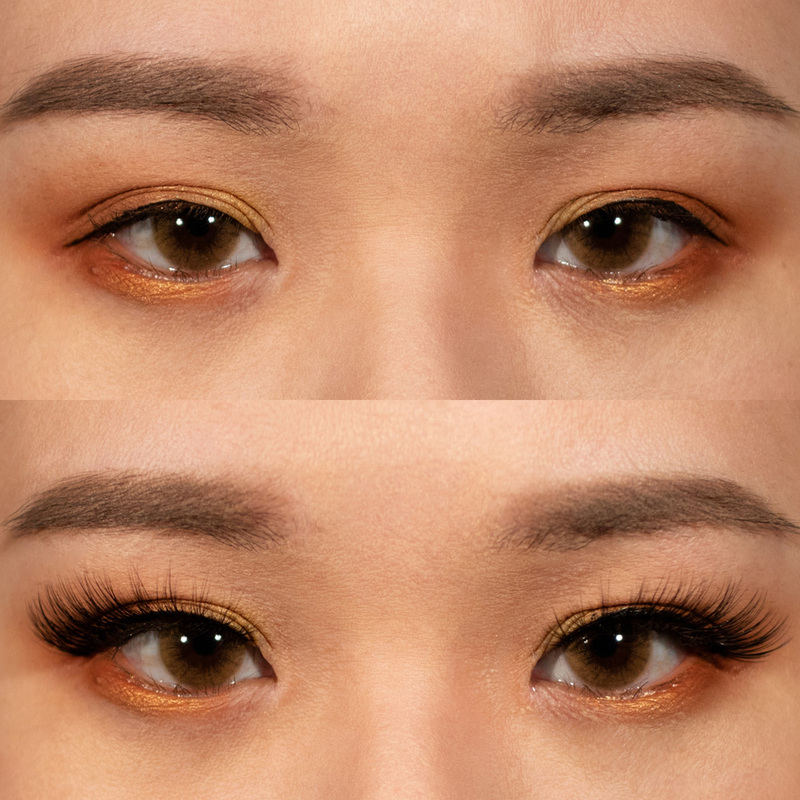 They’re both quite dramatic lashes, so I was curious about how I would go ahead with these but I’m pleased to say that I’m very happy with the results! In addition, Esqido also sent me their Companion Eyelash Glue, which worked well for me and help the lashes to my eyes very firmly. And that’s all for my introduction! 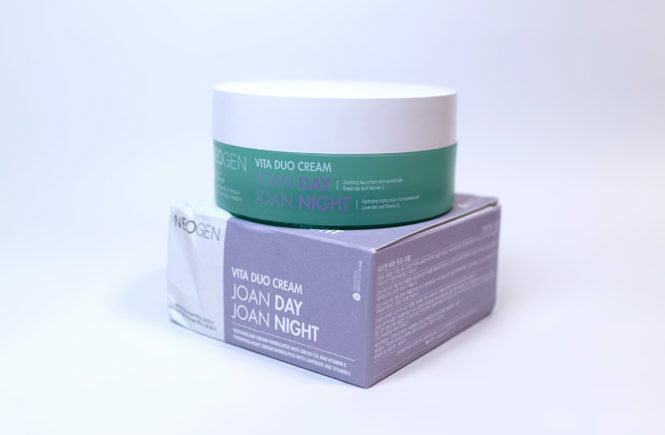 Instead, let’s jump into my spotlight of each individual product because there’s a lot of information that I want to share (and these products make really pretty pictures). I originally wanted to write this as a full blown review for each individual product, but I think that it will be better to give my thoughts and observations, and then share photos of the application, because I feel like lashes can be such a personal thing that it’s hard to rate. They also have cotton bands, meaning that they should bend and shape to your eyes more easily and the ends are less lightly to come off (due to the flexibility). 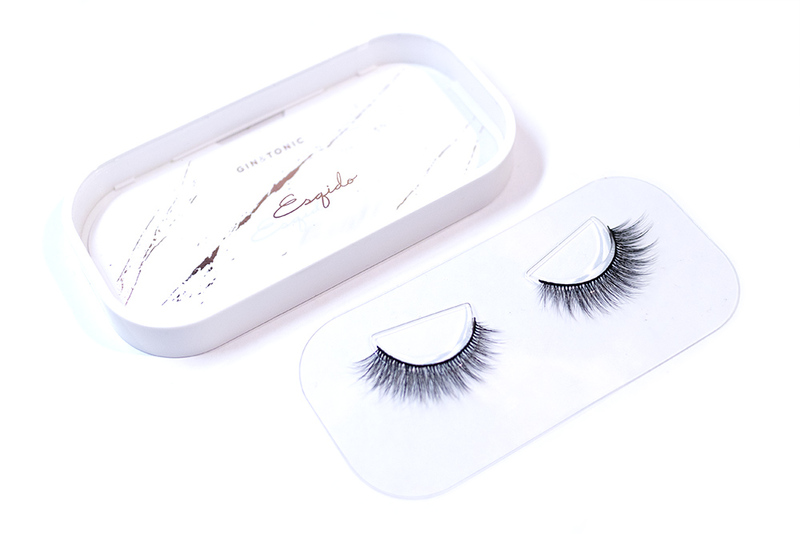 Esqido Mink Lashes are houses in a very premium looking white case (no more cheap plastic packaging and losing lashes here)! 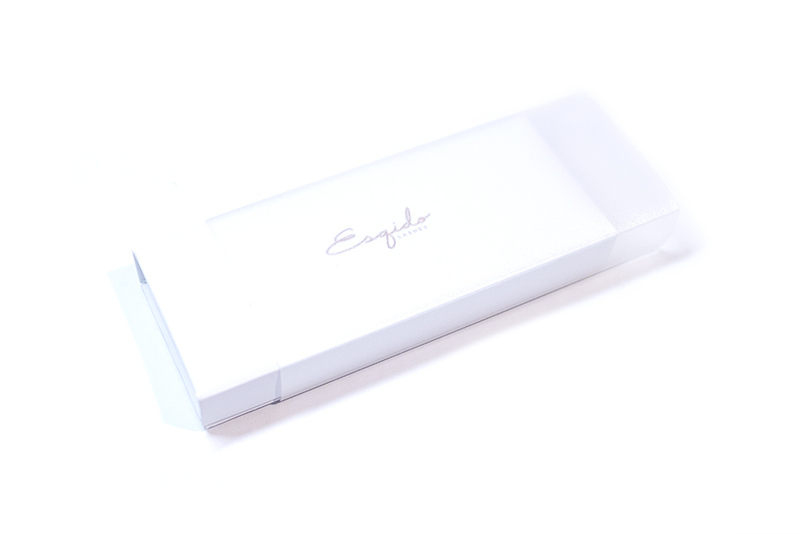 It is encases in a frosted white sleeve and, when you open it up, the box has a magnetic closure. The lashes are then placed and presented very clearly, so you also have a holder to put them back in once you’ve removed them (lashes can be worn over and over again with proper care). 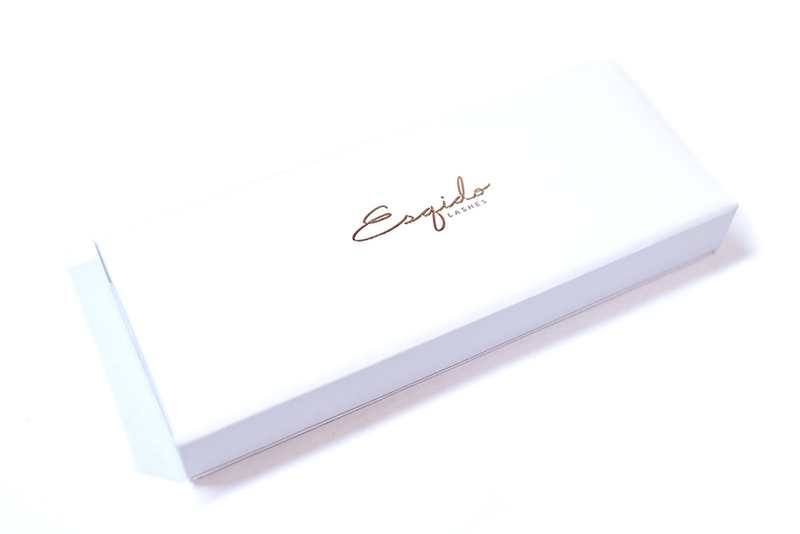 Overall, I am really impressed with the packaging from Esqido and I think that these look so high end and luxurious! 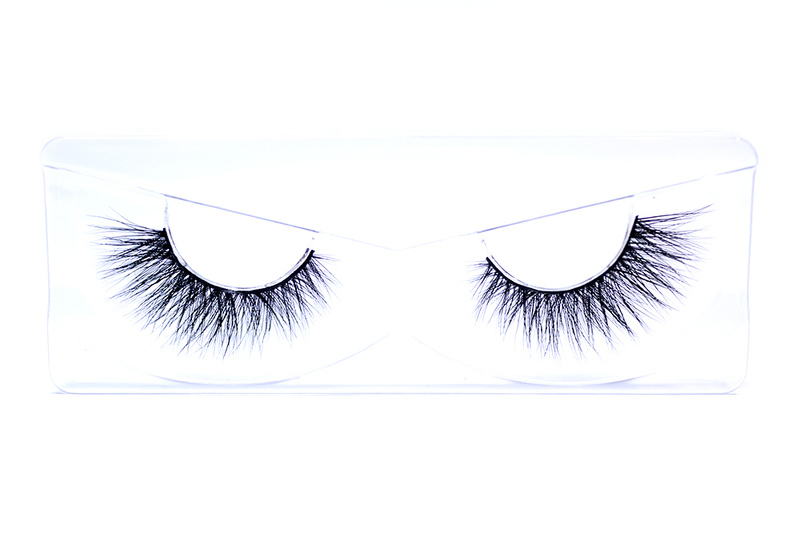 Their lashes aren’t cheap, but they’re a relatively good price for mink lashes and the quality definitely reflects this. The small foil details really gives this the final touch. 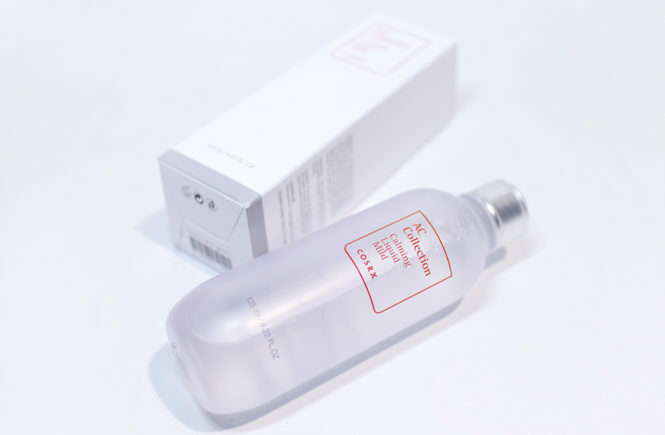 The only downside to this packaging, in my opinion, is that the case is opaque – so you can’t see inside. If I were a regular false lash wearer, I would most likely own multiple pairs and being able to see the whole collection at a glance would make things a lot easier. This issue is amended in their newer UniSyn Lash collection, but I’ll show you those later! This is the false eyelash style that was not in my recommendations list and, to be honest, I can see why. 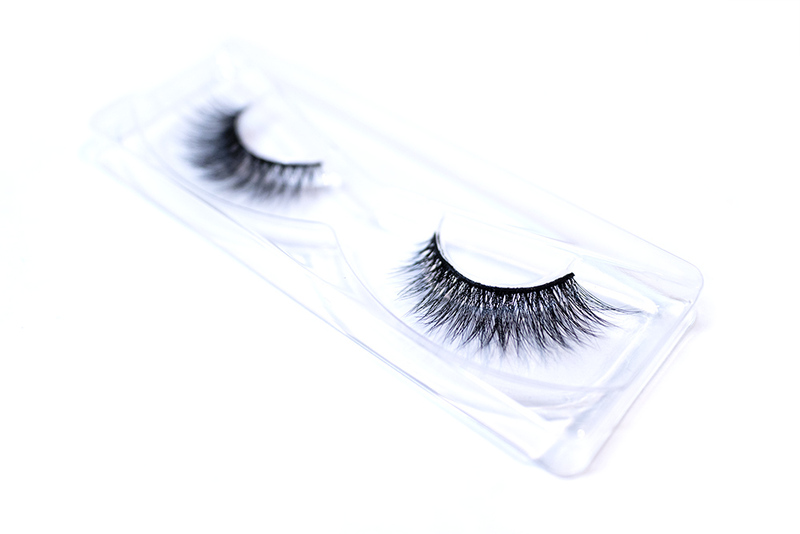 These are a dramatic and full volume lash with a longer length on the outer corners to create a bit of a wing. They are definitely fuller and longer than they looked in the website photo, so I underestimated their intensity for me. 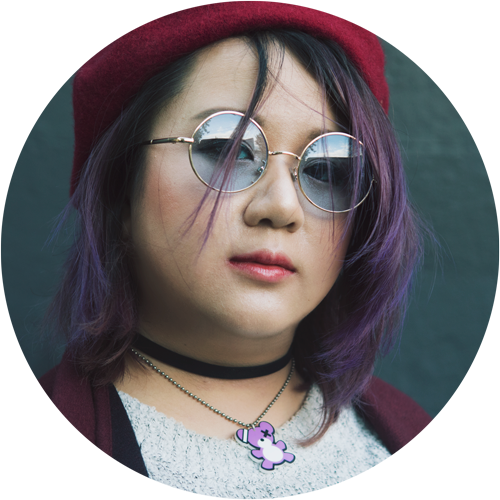 That being said, the lashes are super soft and fluttery – so beautiful and, as the ends are so naturally tapered, could actually look very realistic on people with larger eyes. I particularly like how they kind of criss cross in real life (something that isn’t visible on the website photos because the ends seem to have been ‘loosened’ out), while still looking very natural. 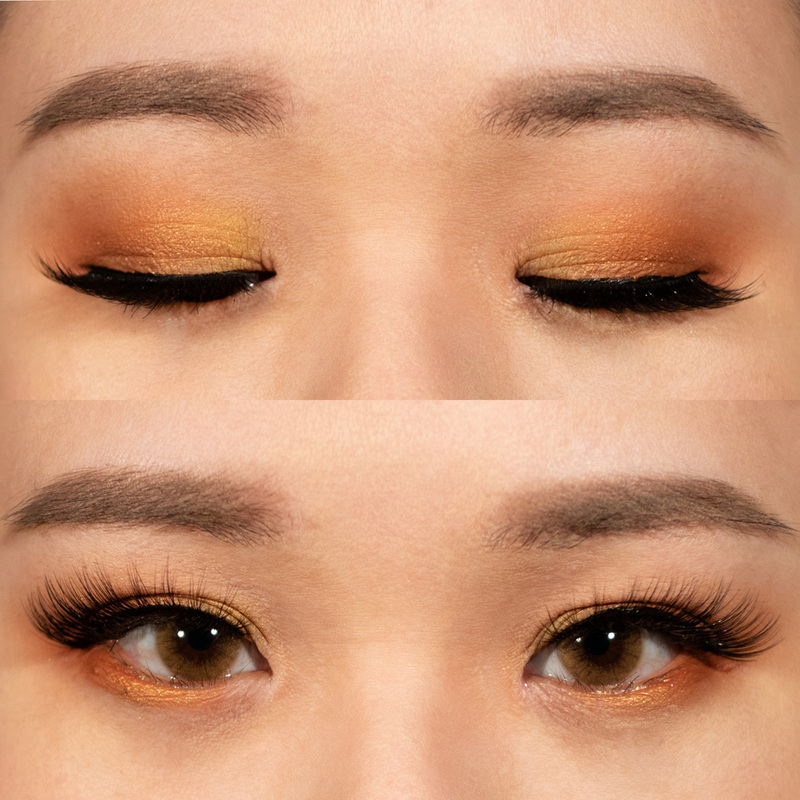 A lot of cheap synthetic lashes seem to do this to try and create volume, but often fail. This is a great execution of it. 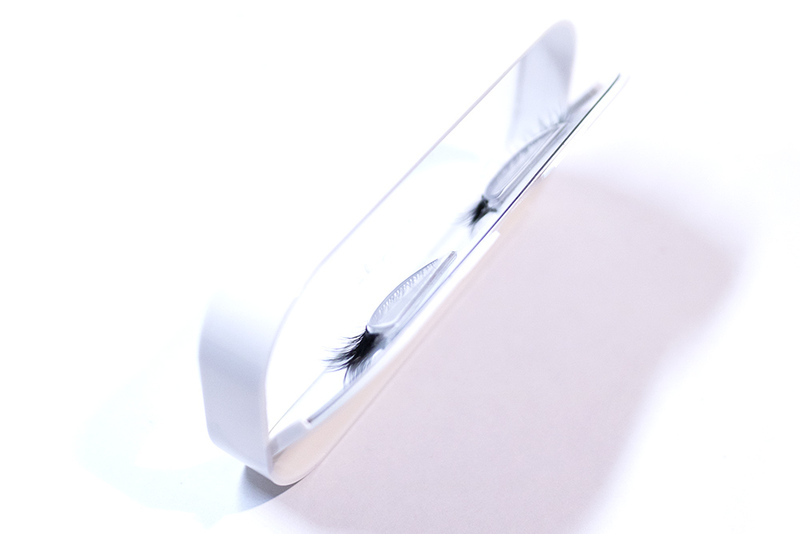 The Mystic Eyelashes are selling for USD$32 on the website. 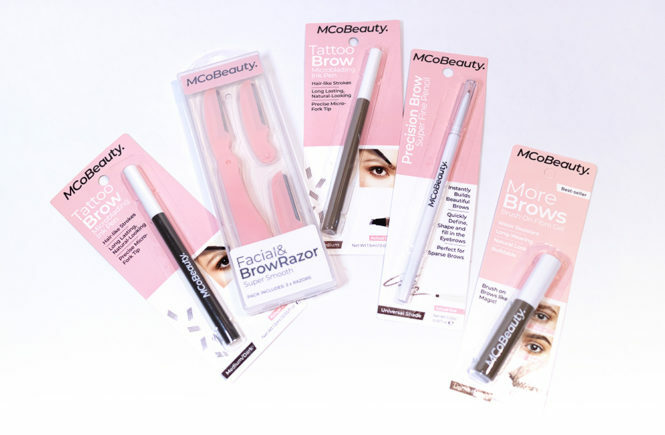 To apply these, I naturally have to cut to size the lashes to my eyes – this is something that will need to be done for most people and I took maybe 0.7cm (totally guessing) off of the outer edge. These lashes did take a moment for me to apply. Since the lashes are very full volume, the band is a bit thicker than I’m used to so you have to bend them quite a bit to soften it. I had also cut them a little bit too long for my eyes (as you can see below) because I was wanting to mimic how I lengthen my eyeliner. However, they were still flexible and the longer corners didn’t irritate my eyes at all. However, as I was taking these photos, I had a lot of trouble seeing! I just don’t think that I’m made for super thick lashes because I felt like I had to hold these up to see. I definitely should have gone for a lighter weight (and shorter length) but I wanted to be adventurous here. It makes for a very pretty, dramatic instagram photo but I don’t think that this is one I can pull off during the day time – and I’ll have to be wearing quite intense make up to balance it out. Instead, I think that I might try to use a spoolie and ‘loosen’ the lashes like in the website photo as I think it will make the lashes lighter, fluffier and more natural on my smaller eyes. 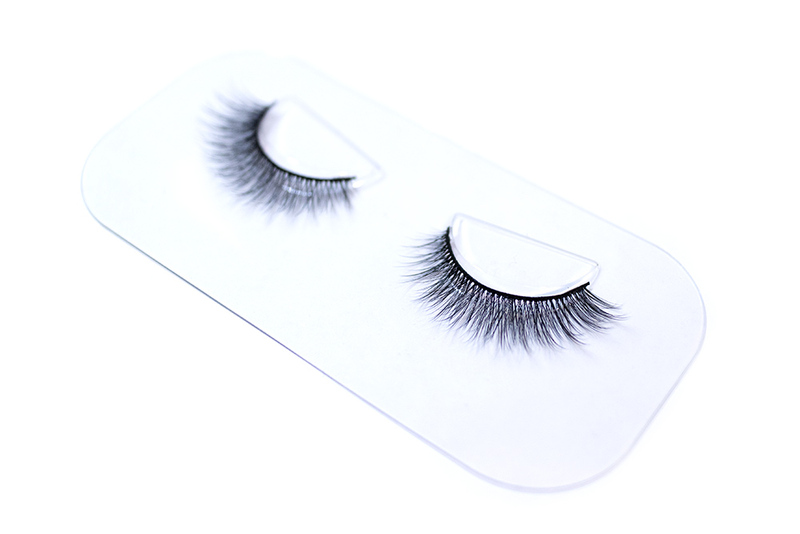 They are essentially a middle point between synthetic and mink lashes: they have that same fluttery and realistic look of mink lashes (and the softer cotton band) but are made of synthetic fibres. This also means that they are substantially cheaper than real mink lashes and – in my personal opinion – are so much better because of it. 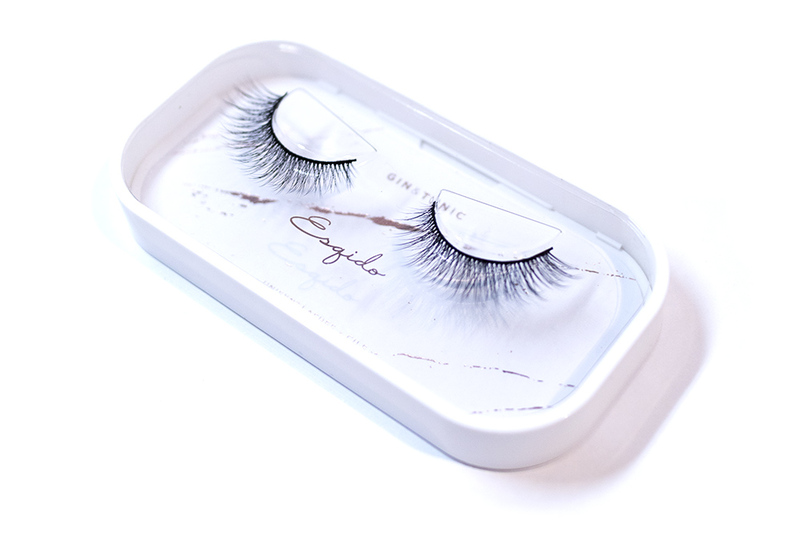 I am absolutely awestruck and in love with the packaging for the Unisyn lashes, and I would honestly start to collect them for display purposes along (although, of course, they’re a great quality product as well). 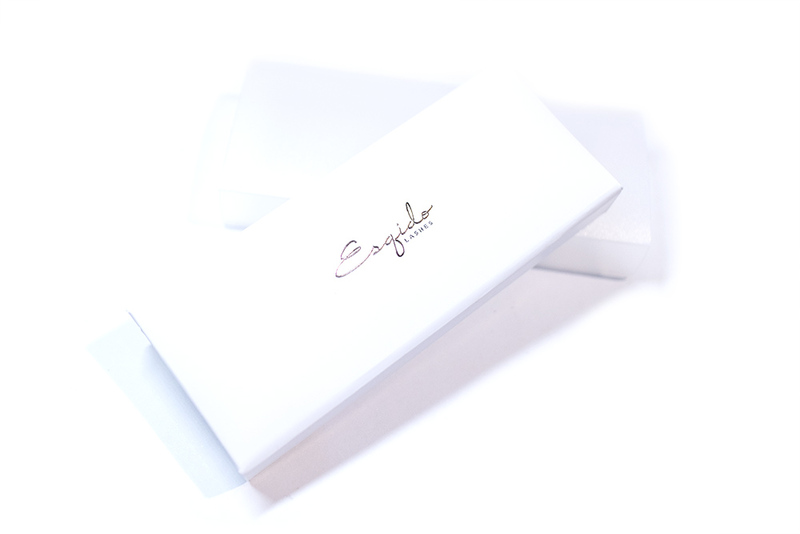 The lashes come housed in a plastic case with a clear cover, giving you a good view of the lashes inside. It looks a lot like a display case, with the foil stamping on the clear window, as in the background – small details like the rose gold foiled marble design and the foiled Gin & Tonic lettering, makes it look like an artwork. These actually took me a moment to work out how to open but, once I did, I just felt like this was genius! I don’t buy lashes enough to know if more companies do this but, if they don’t, they should. The back of the case opens up as you can removed the lashes by pulling out the plastic display sleeve. It really is like removing a piece of art from the frame and I think that this is one of the best packaging design executions that I’ve seen – simple, beautiful and effective. 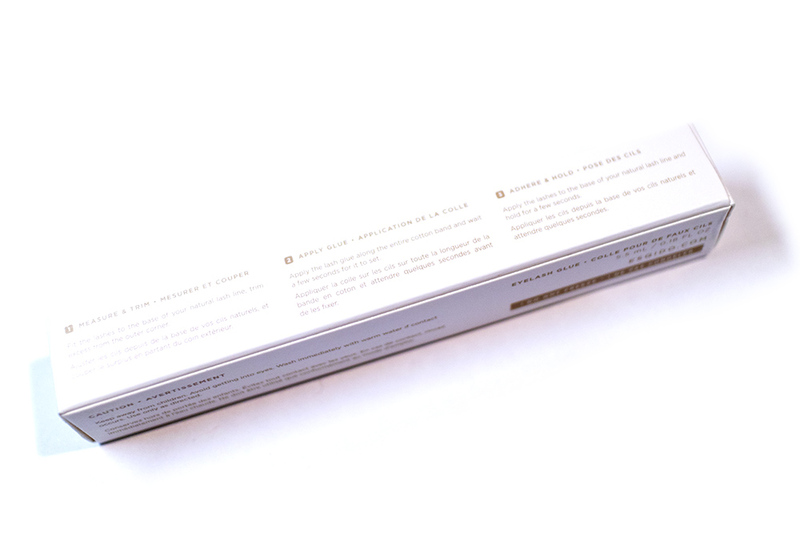 In addition to the lashes, the ‘background’ is actually a few sheets with application and care instructions. 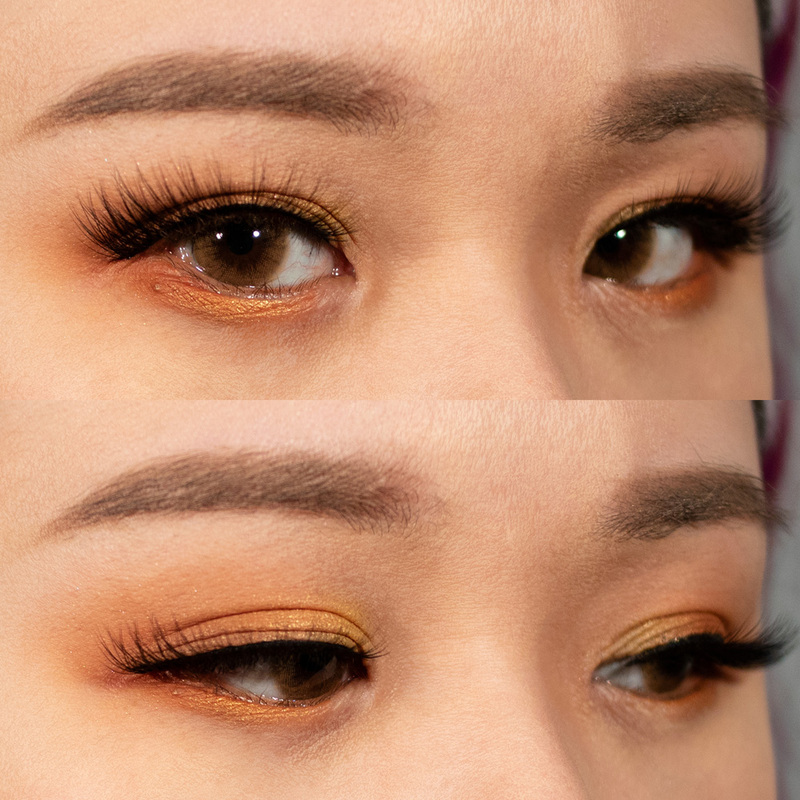 This style was one of the ones suggested to me in the quiz and, while they are still quite long and dramatic on me, I feel like these are a much better fit for my eye shape in comparison to the Mystic lashes. These have a medium volume, with a slight wing on the outside too. Although these variations in the lengths is very dramatic (from 4mm to 12mm) the inside corners actually have only two super short sections before lengthening out. This makes the eyes look a bit more rounded and open – which I personally really enjoy. I feel like super winged lashes make me look a bit heavy lidded. 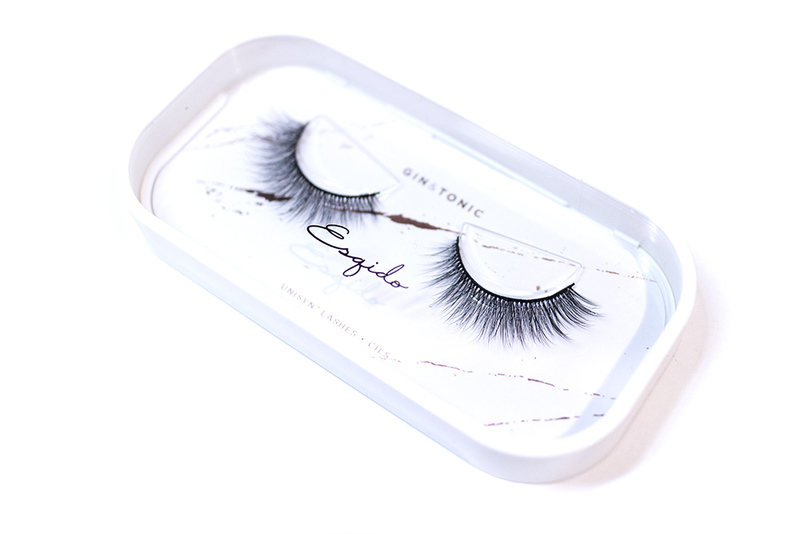 These look identical to what you see on the website and the lash fibres are so fine and naturally tapered that they don’t look synthetic at all! 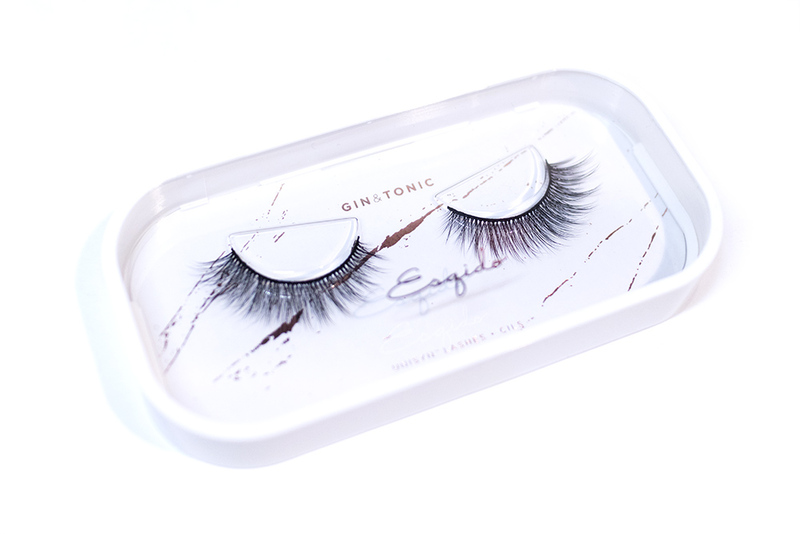 The overall appearance of these lashes is super natural and luxurious – I definitely feel like they are comparable to real mink lashes but are much more affordable at USD$22 (see Gin & Tonic here). 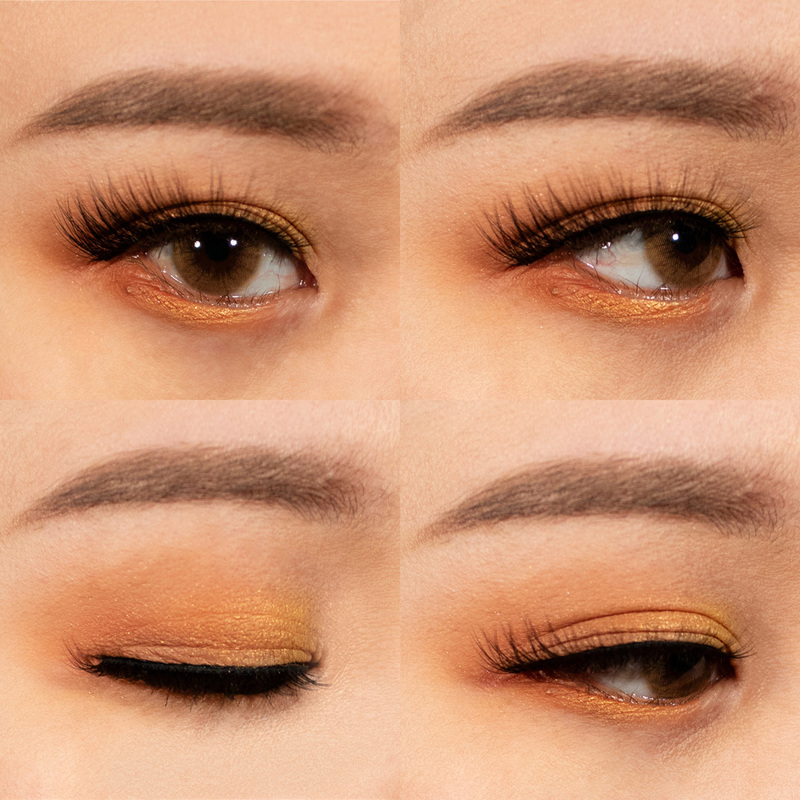 Out of the two lashes, these applied the most easily and I was very surprised that I got them onto my eyes within seconds – no fumbling or fiddling around like I usually would like synthetic lashes. These are very lightweight on the eyes and, while I could definitely feel the length, they didn’t weigh my eyelids down at all. I also cut these lashes a little longer for my lengthened eyeliner, and the band was super flexible with no irritation. I feel like this band is slightly thinner than the Mystic lashes and so bent to my eye shape a lot more easily. 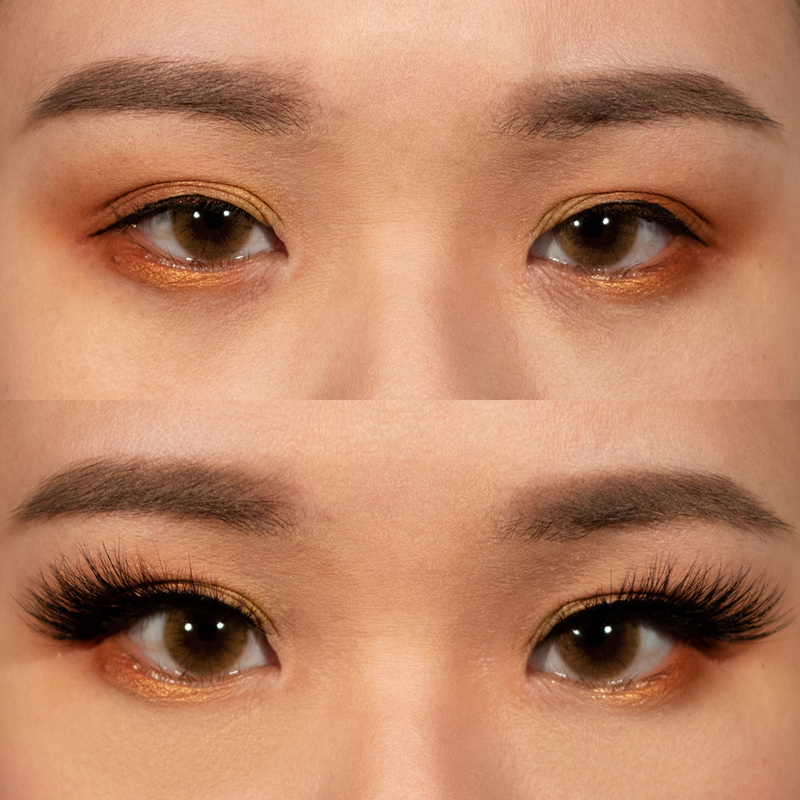 Although they are a dramatic look, these are a lash that I would be comfortable wearing day-to-day (although with a strong eye look to balance it out still). They also look so pretty in photos and I think you’ll see these on my Instagram a lot more. To be honest, I can’t see any! 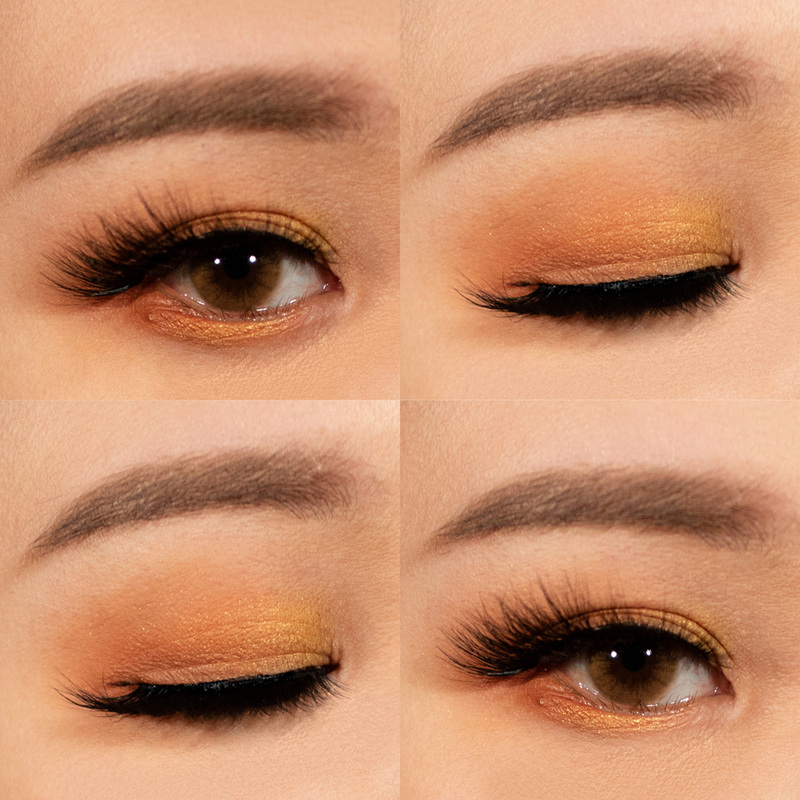 Overall, I think that the Unisyn False Lashes from Esqido are my favourite. I’m curious to see if I could do better with a lighter mink option (as the Mystic style really isn’t for my eyes), but considering the price difference and the similarities in quality/appearance, I would sooner choose the more affordable and vegan option! 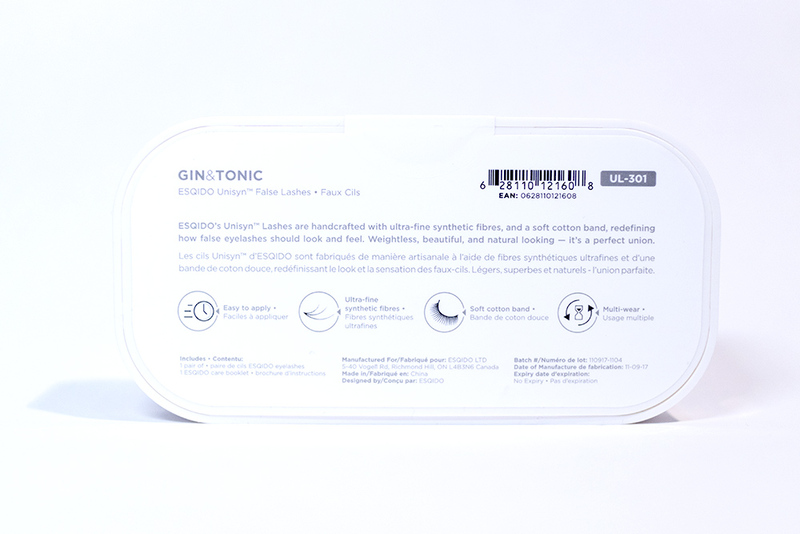 I love the Gin & Tonic style and I’m going to be reaching for these often – in fact, maybe I’ll start wearing falsies more again! If you’re interested in the Mink Lashes, you can check out their collection of 27 styles or the Unisyn Lashes, which have 10 styles. 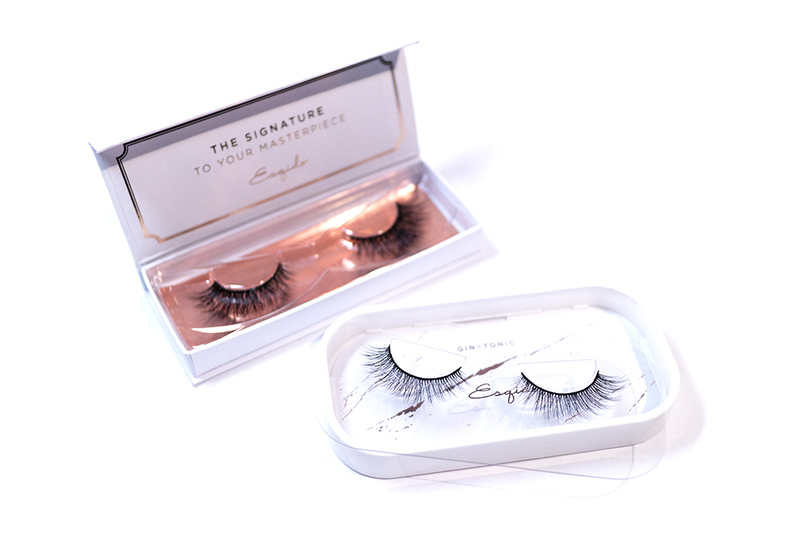 Regular false lash wearers can also check out their Lash Kits, which is a set of three lashes and the companion glue. Here it is! 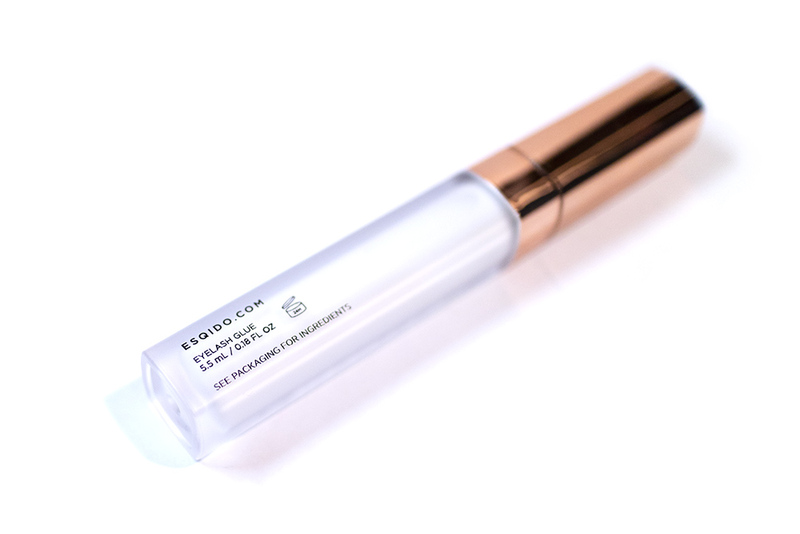 I have tried a few different lash glues in the past and, to be honest, most of them have either irritated my eyes or come unstuck really quickly (and I mean minutes after application), but this Esqido branded lash glue actually worked really well. 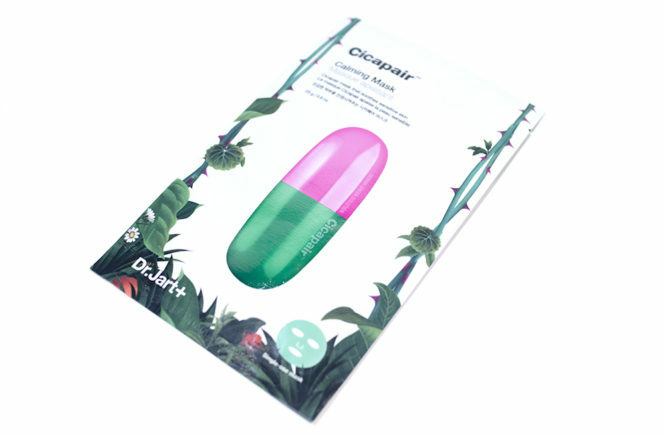 It is latex free and suitable for those with sensitive eyes or with latex allergies (of course). 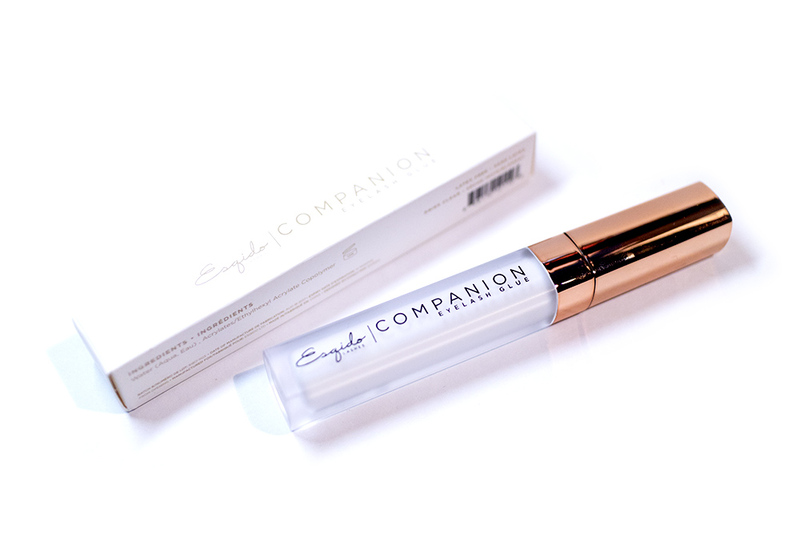 Introducing ESQIDO Companion, our Best Selling clear eyelash glue with strong all day hold. 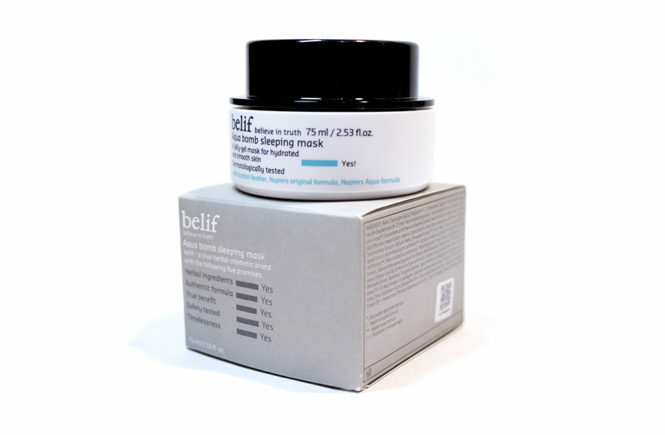 Specially formulated for to be latex-free, it’s a gentle mixture that is perfect for sensitive eyes. 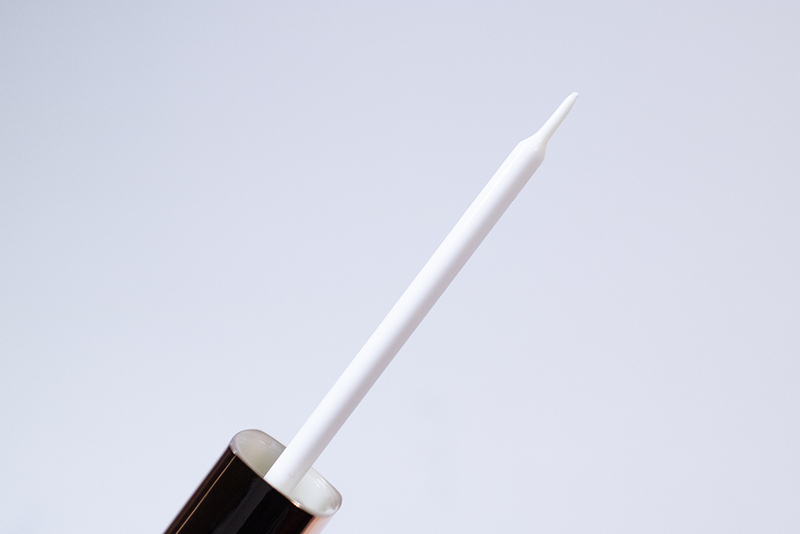 With a fine tip wand, you’ll be able to brush on the right amount of non latex lash adhesive to your false lashes, every time. This is the best eyelash glue for any type of false eyelashes – long lasting professional lash adhesive trusted by many makeup artists. Storage Do not freeze. Store in room temperature. 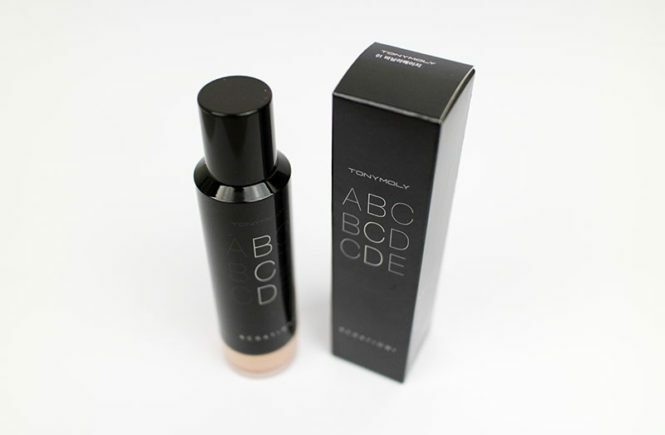 The packaging for this product is very simple and, although Esqido claims that the applicator is unique, I personally have come across it many, many times. However, this is a form that works well so I see no issues with that. 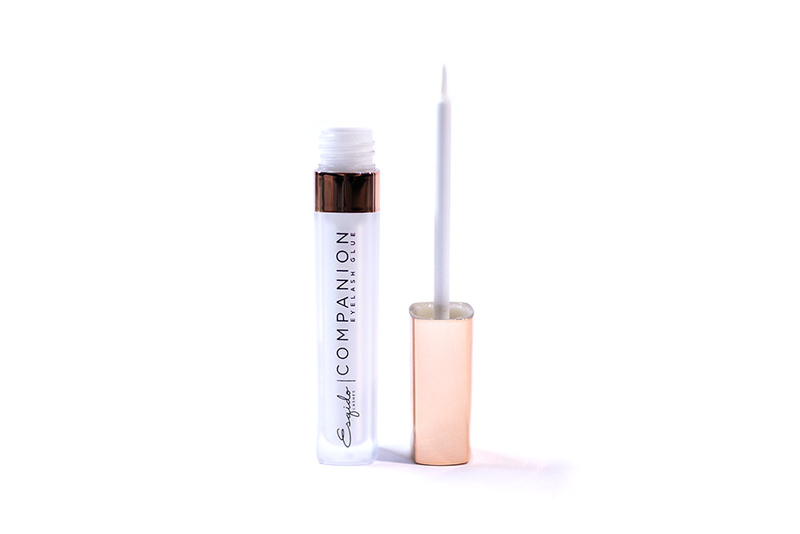 The Companion Eyelash Glue comes in a plastic tube, very similar to lip glosses or concealers, so it’s very easy to use and keep in your bag for touch ups – you won’t need to worry about any mess. The actual quality of the tube is a good quality plastic and the manufacturing is well done, so it screws in tightly with no issues and it also feels very sturdy. I also like that the plastic is frosted and semi-opaque, so you can see how much you have left. The amount of product in this tube will probably last quite a while because you don’t need to use a lot of this (and to be honest, shouldn’t). Design wise, I just wish that the cap of the tube was a little more rosy toned to match with the lash packaging and their brand. However, it overall looks very high end. It sells for USD$10 which is very decent (comparatively, Duo or Tarte lash glue is around AUD$16) but looks like it’s very expensive. Okay, so I also love how this applied but – and I will discuss below – this may come down to personal preference. Aside from being latex free and suitable for sensitive eyes (and I can vouch that I finally had no stinging), it also dries very quickly and very firmly. 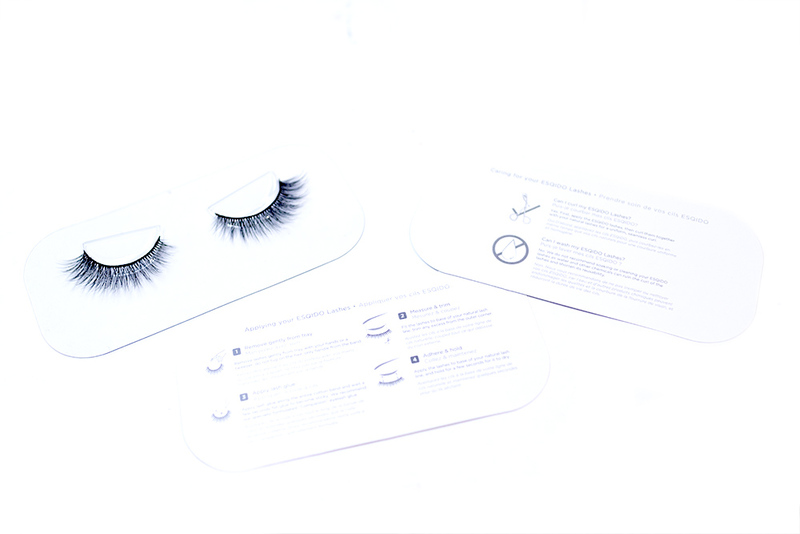 Since I often have lashes slip or fall off while I am trying to put them on, this made the overall process very quick and easy for me. It is white on application but dries clear, so that doesn’t bother me. I still try not to get it on the rest of my eye make up though, as you can still see glue residue. The glue also adhered the lash really well and, even though I have watery eyes, I didn’t have issues with the corners lifting. The lashes stayed on well until I went to take them off. That being said, I haven’t worn these for a full day and I’m unable to give a full review. 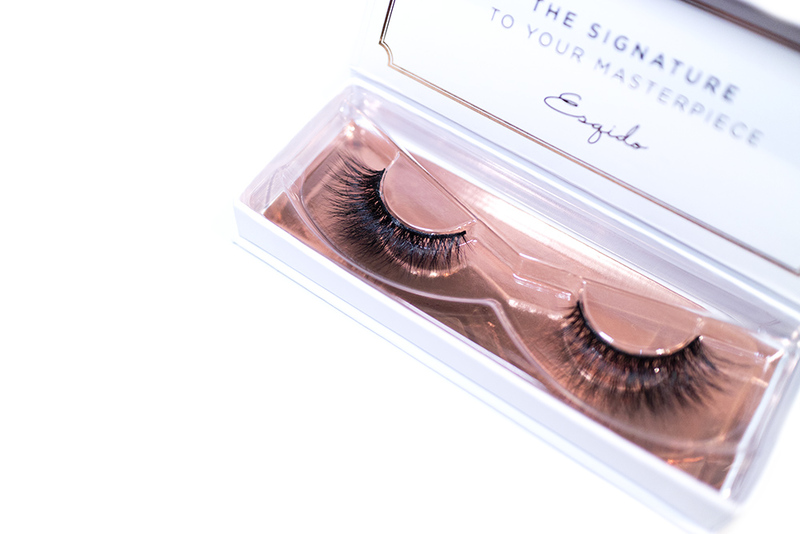 And that’s my thoughts on these Esqido lashes! Please let me know if you enjoyed reading and seeing me try on these sort of false lashes and stuff, because I am definitely open to trying more of them in the future. 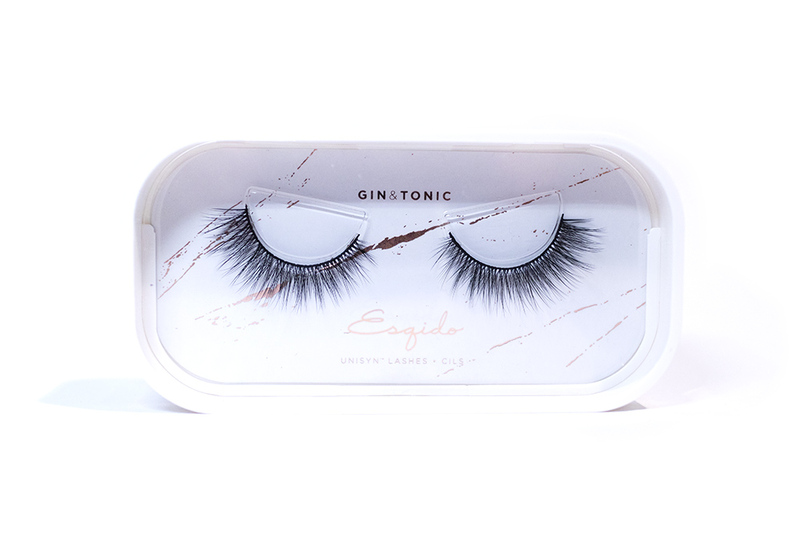 Overall, I am very happy with these lashes from Esqido and I am particularly a fan of their Unisyn range, and I think that that’s going to be the one I recommend over all. I think that their Companion Eyelash Glue is also a great option and, if you have yet to find one that you really enjoy, definitely give this a try as well.